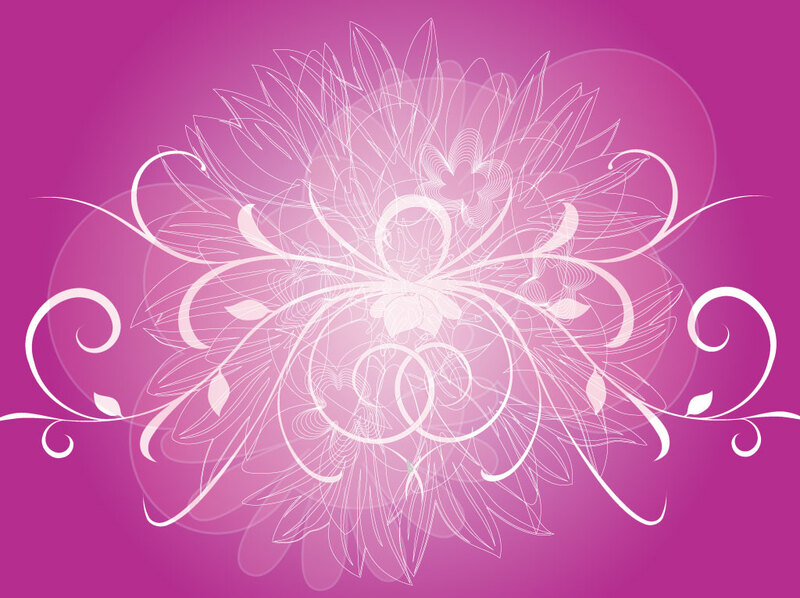 Creative flower graphics layout for your modern cards, magic backdrops or romantic templates. Magenta purple fantasy vector background image with translucent compound circle shapes and white floral decorative elements creating a design in the center. The free download is a lovely beginning for a spring greeting card or a great bundle of floral elements for your design kit. Tags: Card, Fantasy, Flowing, Glowing, Presentation, Template, Valentine, Violet.